Who Is Psychoff? Does he really make £50K a month? Home Betting Who Is Psychoff? Does he really make £50K a month? Who Is Psychoff and Should You Follow His Betting Advice? 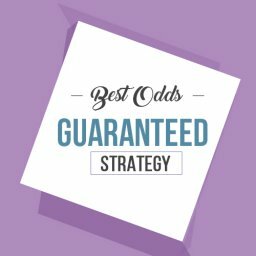 The idea of a mysterious, legendary betting expert who is almost always right is certainly tempting. Does such a tipster even exist, though? If so, could you follow their tips and learn from them? It sounds too good to be true. One of the most famous football traders in the UK is called Psychoff. The image above is Psychoff! Psychoff has been around for a few years and many people trust his predictions. It has also been suggested that he earns a staggering amount of money each month from trading on football. You can now follow his tips on social media. 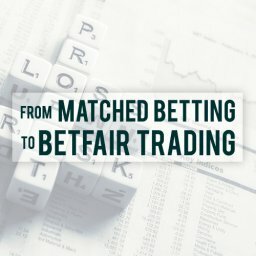 Is this a chance to start trading on football matches with help from a genuine expert? Is he someone you should be following and learning from? Let’s take a look at his background and his strategies. Then we can get a better idea of how he is and whether taking his advice is worth it. The first time that this man came to prominence seems to have been back in 2009. Back then, he published a post on Geekstoy that rapidly went viral. In it, he told the world about how he had made £100,000 from football trading. It has to be remembered that trading on the footie markets wasn’t such a big deal back then. For many people, this blog post from a mystery man opened up a whole new world for them. Some of them couldn’t believe that so much money could be made from football trading. After that, he disappeared for a while. People occasionally wondered what had happened to him but he was largely forgotten about. In the meantime, trading became a lot more popular and widespread. In 2016, he came back into the public eye unexpectedly. He explained that he had into problems with betting in the country he was in at the time. This time he used social media and interviews to get his message across. Not a lot is known about Psychoff as a person. However, in interviews he has revealed he came to the UK from Turkey in 2016. Before that, he had worked as a psychiatrist while also trading at the same time. He has loved watching and playing football since he was a boy. Apparently, he was introduced to betting exchanges such as Betfair by a friend. This happened in 2005 and led to him changing his strategy. Before this, he was a typical punter but suddenly he became a highly successful trader. Whereas he had typically lost on poor bets in the past, he now started to win a lot of cash. When he finished training as a psychiatrist he said that his job wasn’t too busy. So he had enough time to work at trading at the same time. He quickly earned a lot of money through scalping and other strategies. However, he also revealed that he had lost all his savings at one point. This is when he almost gave up betting entirely. It seems as though he had got too confident and lost control of his strategies. He started chasing his losses and it all went downhill from there. It turns out that he then promised his wife he would stop betting forever. However, a colleague offered to bankroll another attempt at beating the market. It is unclear whether this is the same colleague who introduced him to trading, as he mentions them in different interviews. Either way, it was too tempting an offer for him to turn down. This colleague was an ophthalmologist working in the same clinic. Psychoff revealed that he got his trading name by combining their job titles; psychiatrist and ophthalmologist. He doesn’t mention whether they still work together or whether he trades alone now. He now says that he spends up to 6 hours a day trading during the week. At the weekend this goes up even more, to 12 hours per day. In fact, he says that sticking to this routine is one of the biggest reasons for his success. He loves having a routine to his day and sticking to established patterns. Does He Really Make £50,000 Per Month? One of the most incredible facts about this trader is the claim that he earns £50,000 per month. This can’t possibly be true, can it? It sounds like a huge amount of money. Perhaps he has earned that much some months but not others? Well, he has provided lots of screenshots and videos over the years to show how much he regularly earns. 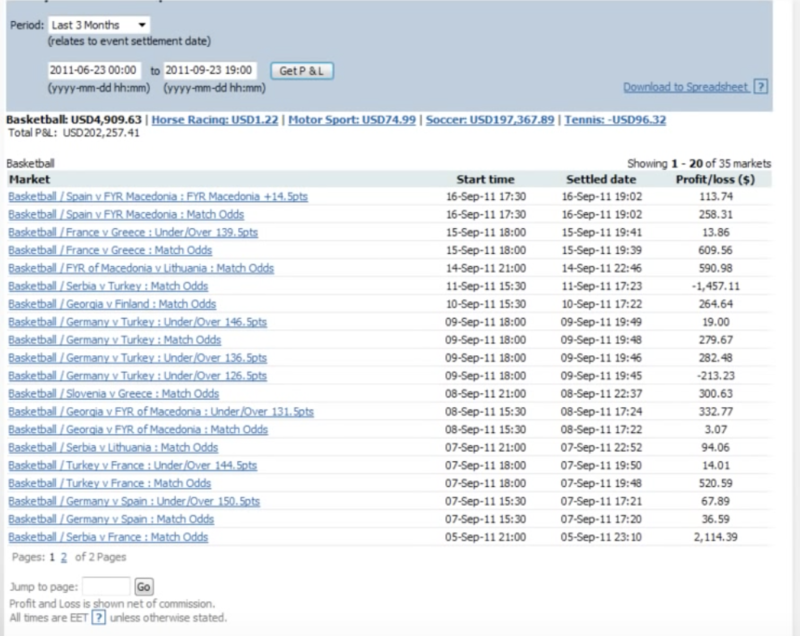 You can see from his own Betfair account screenshots how his profits stack up. There is no doubt that he has made a lot of money in this way. Here is a screen shot of Psycoff’s profit / loss from the Geekstoy Charity Challenge. It is impossible to know how much he has won in total throughout his career. However, the screenshots make it clear that he wins a lot of money. Some sources claim that he has now reached seven figures in his career profits. That would be a remarkable achievement. Of course, there are two major points to bear in mind when looking at these figures. The first is that he dedicates a lot of time to football trading. As we saw from his routine mentioned earlier, this is pretty much a full-time job for him. He has being doing it for a few years too. Then there is the fact that he trades with a lot of money. If you are going to bet with lower stakes then you can’t expect to win large amount of cash like Psychoff does. He is open about the fact that he has suffered big losses in the past too. It seems that his success comes down to a number of factors. He is bold enough to bet with large amounts and disciplined enough to work hard. Of course, he also has smart strategies to back up these attributes. What Strategies Does Psychoff Use? There are a number of strategies that he uses. One thing that he has been talking about a lot lately is scalping. However, due to the fast-moving nature of this tactic it isn’t something that he shares tips on. Fortunately, there are some general trading tips that he has shared. The first one is to always close the position when the system says to. This means not chasing losses or panicking and exiting as soon as you are in profit. He is also a great believer in routines and patterns. Understand what works for you and don’t change it unless it stop working. He states that this established routine is a big part of his success. In trying to stay disciplined, he says that he attempts to never miss a game he want to trade on. 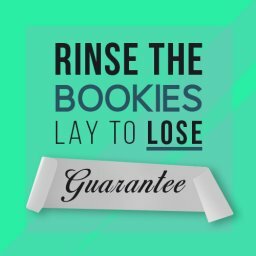 Another tip he has given is to be particularly careful after winning or losing a big amount. This is when he feels that traders are at their most vulnerable. In terms of in-play strategies, he puts a lot of importance on trading after goals are scored. This is why he posts goal alerts as the games are going on. He believes that it is possible to find value bets on another goal being scored late in the game. These aren’t really trading moves. It is a straightforward value bet that there will be another goal. Analysis of his trading suggests that he bets more heavily in the second half. This backs up the theory of looking for late goals. Interesting, he claimed to be not be really big on statistics. He prefers to watch the flow of the game to understand what is likely to happen. It seems that he often backs games with just one goal in it, anticipating another goal near the end. It is also important for him to find bets at the right price. A few times during the recent World Cup he advised that the price wasn’t right for the bets he wanted to make. It might seem at times that he is working off hunches. Yet, there are some clear strategies that he sticks to. He thinks that his medical training is a big advantage in keeping calm and sticking to his strategies. Where Does Psychoff Publish His Tips? Since re-appearing, Psychoff has taken to Twitter to share his footie trading tips. His username on here is @psychofftrading. He regularly tweets information on here about matches and special offers. Psychoff joined Twitter at the end of 2016 and currently has over 9,500 followers. He has also published over 1,600 tweets to date. In recent months, he has published more offers and competitions than tips on here. 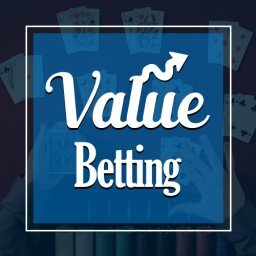 In fact, he said in July that he was putting a new value bets channel onto Discord. As we can see in the next point, he has since moved from Discord over to Telegram. However, it is still a good idea to keep up to date with his tweets too. Where Does Psychoff Publish His Goal Alerts? In the past, he had been using Discord to publish goal alerts. As we saw earlier, his strategies rely largely on reacting quickly to goals being scored. He also pays a lot of attention to when another goal is likely to be scored. It appears that he wasn’t happy with his followers not receiving his update in this way. So, in the summer of 2018 he switched over to Telegram. This is where you can see his goal alerts if you follow him there. 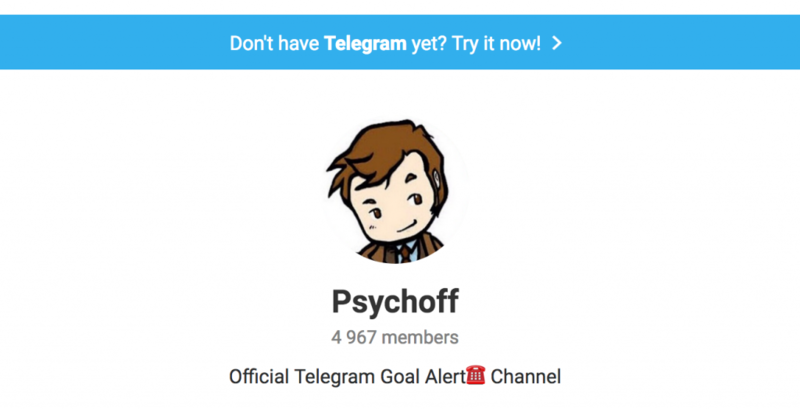 He now has close to 5.000 followers on Telegram. Receiving these goals alerts and reaching to them quickly is vital. Will You Make Any Money Following Psychoff? It is clear that this guy is a trader who makes a lot of money. Could you do the same by following his tips? Surely if he can do it then so can you. It is certainly possible to trade more wisely if you follow him. As well using this tips, you can also learn more about trading by reading what he says. To do this, you will need to follow Psychoff on social media. He sends out a lot of tips and alerts, so it pays to stay tuned and be ready to move. Of course, you need to know what you are doing at the start. When making a trade you need an exit strategy in place. If you just react to his tips then you could find that you don’t know what to do next. Therefore, it is a good idea to get some trading training before you start. If you look on social media you will find that plenty of punters have thanked him for helping them to win money. 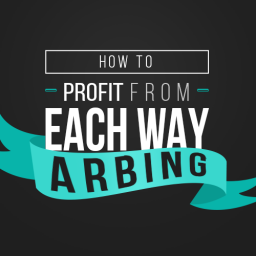 If you want to give trading a try then you could do a lot worse than check out his tips. Having said that, some people simply aren’t suited to betting like this. Even highly successful traders can get it wrong and lose money. If you want to remove the risk of losing then you need to look at something else. Maybe try something like matched betting instead. You should know that he doesn’t give tips on scalping. This is an area where he makes a lot of money. However, it just isn’t right for sending out tips as it moves too quickly. Does Psychoff Sell Any Betting Systems? 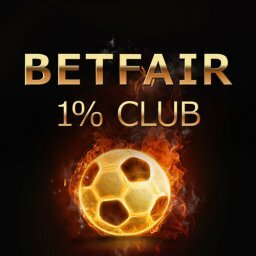 Is there a betting system from Psychoff that you can sign up to? Right now there is no service or system that you can pay to join. At the moment he just offers free advice on Twitter and Telegram. However, it is interesting to see that he has talked about some different software that he has made. For instance, he has posted in the past about Scalpy. 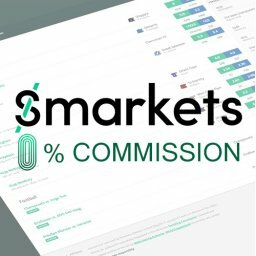 This is a tool he has developed that uses artificial intelligence to carry out scalping. The idea is that learns about the market as it progresses. It can then carry out trades without the human emotions that so often get in the way of good deals. He started out with this bot in March 2016. By December of that year, he was talking about carrying out a 0 to 5k challenge. He pointed out that at the stage it had a lot of positives and some negatives. Since then, he gave an update in September 2017. At this point, he said that he was testing an automated bot. The idea being that it could carry out more trades than a human. It isn’t clear whether this is still Scalpy or something else new. The monthly screenshot for July 2017 showed a modest loss. However, he seemed fairly happy that it is moving in the right direction. It still had some negatives but it carried out a lot of trades over numerous markets. In that case, a small loss is fairly impressive. It isn’t clear whether he plans to market this software at some point in the future. Given his recent high profile, it wouldn’t be a surprise to see him market a tool at some point. However, it could simply be that he loves trading and helping others to make money. He doesn’t appear to have mentioned his automated tools in interviews for a while. Is he still working on them? Are they performing well? It would be interesting to find out the answers. Has Psychoff Done Any Interviews? 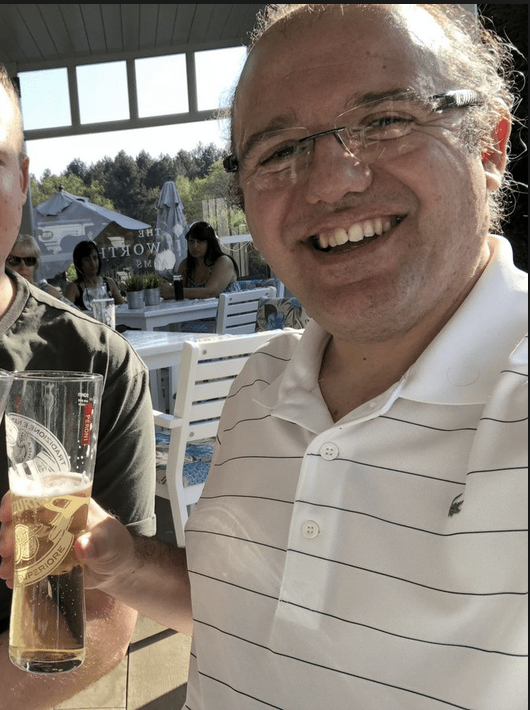 You can find a number of interviews with this sports trader online. This interview from earlier in 2018 covers a lot of ground in terms of his background and future plans. There is also an earlier chat from May 2017 that it is worth reading through. It is fascinating to read about how this trader has performed over the years. You can also see some other interviews with him in the other links above. He seems to be doing more interviews lately and undoubtedly has a higher profile now. For someone who was a secretive, mysterious figure for so long, he now appears happy to be in the public eye. The interviews reveal a lot about his strategies and trading ideas. We can also better understand his motivations and even his working routine. 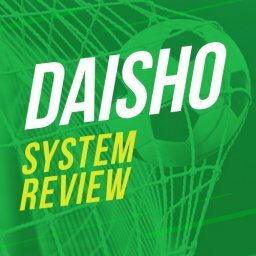 If you are keen to learn all about football trading then these articles are good places to start. He is very open about how he works and how to trade. 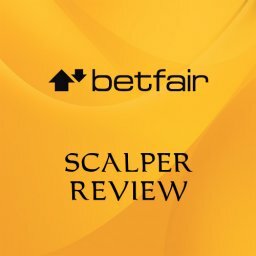 Anyone who is completely new to this type of betting will find out plenty of details from these interviews. There is no doubt that Psychoff is one of the most fascinating sports traders around just now. His track record of big wins and his interesting life story make him worth reading about. In terms of trading, it is clear that he know what this is all about. His strategies are well thought out and have proven to be effective time and time again. Should you follow him? It really depends how you want to trade. If you are happy reacting quickly to his alerts and thinking on your feet then it could be a smart move. However, getting involved in football trading without being fully prepared can lead to big losses. You should ensure that you understand the basic strategies before you start. Even then, don’t forget the trading isn’t guaranteed. You can lose a lot of money if matches don’t go your way. Using this tactics can add a lot of fun to the football you watch. It will take up a fair bit of time, though. You might also lose money now and then. What I can say is that it certainly won’t be dull.